GABA goes to the Oktoberfest Brisbane. This time we have reserved tables at the Bayrisches Eck for the Ultimate Oktoberfest Brisbane Experience! For the 7th time in succession, The Right Honourable the Lord Mayor Graham Quirk will have the honour of ceremoniously tapping the first keg of the Festival. By calling the words “O’zapft is” (“it is tapped”) and presenting the first stein of beer to the Head of State, The Honourable Annastasia Palaszczuk MP, he will officially declare the 11th Oktoberfest Brisbane as open. Over the past nine years Oktoberfest Brisbane has grown to become Australia’s largest and most authentic German Festival. More than 43,000 culture-seeking enthusiasts descended on Brisbane last year to experience this celebration of German culture and tradition. 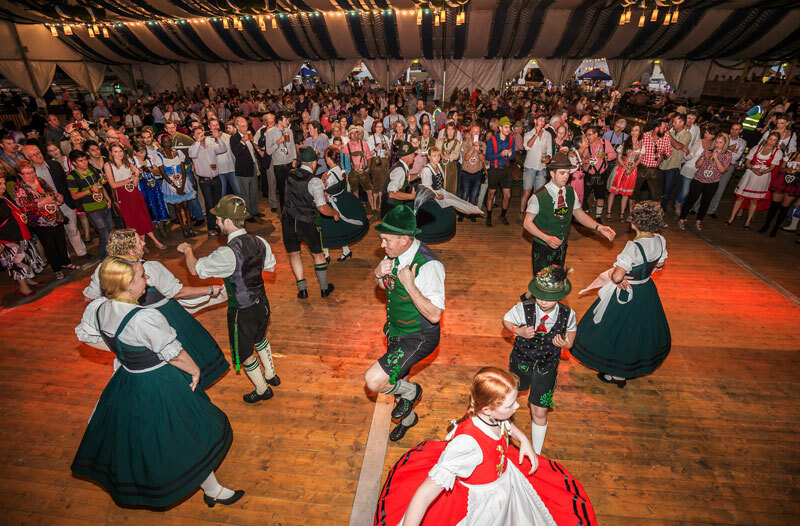 The Brisbane Showgrounds are once again transformed into a mini Bavaria complete with delicious food, world-famous beers and a line-up of traditional entertainment all served up in a culturally-rich atmosphere. Please come along and meet and network with your fellow GABA members, bring a friend an introduce them to GABA.